I sometimes joke that brushing Elliot's teeth is like trying to put socks on a dancing octopus.....not the easiest job in the world!! He's got a habit of chewing on the toothbrush and although I know he's got a giant mouth, he never wants to open it wide when I'm brushing! To help with this tricky task, Aquafresh have a clever little app that makes brush time SO much easier! It helps teach the right way to brush teeth, for the correct amount of time but also keep things fun. Which is very important for children, especially if they aren't a fan of teeth brush time! The Brushtime app allows you to customise it to your preferences. 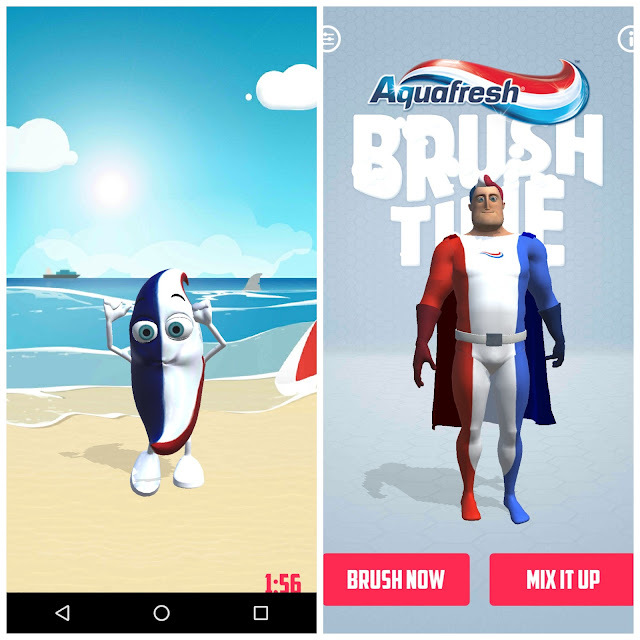 Firstly you can pick a character , either Captain Aquafresh or Billy Nurdle. There are more options but these have to be unlocked - the more you use the app, the more options you will have. Next you can choose your scenery (our favourite is the mouth!) and then the music. You can then select your dance (the silly one gets the thumbs up here) and then you're good to go! The app counts down from 2 minutes so your child will know how long to keep brushing for. It will also give instructions on brushing such as "change sides!" or "halfway there!". 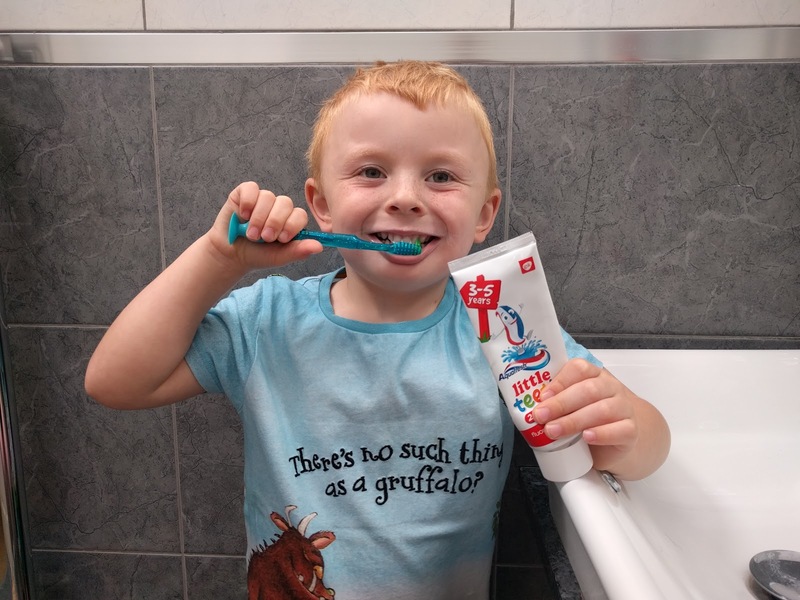 Elliot really enjoyed using the app and it has certainly helped him with brushing for the recommended time - me also actually. It's too easy to whizz through brushing and 2 minutes is longer than you think! 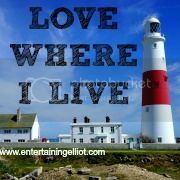 The app is free and can be downloaded from Google Play and iTunes store.